Wednesday, Apr. 17, 2019, 6 – 8 p.m. The start of Year Zero--the fall of Phnom Penh. The beginning of a four-year regime filled with unimaginable human suffering and pain. 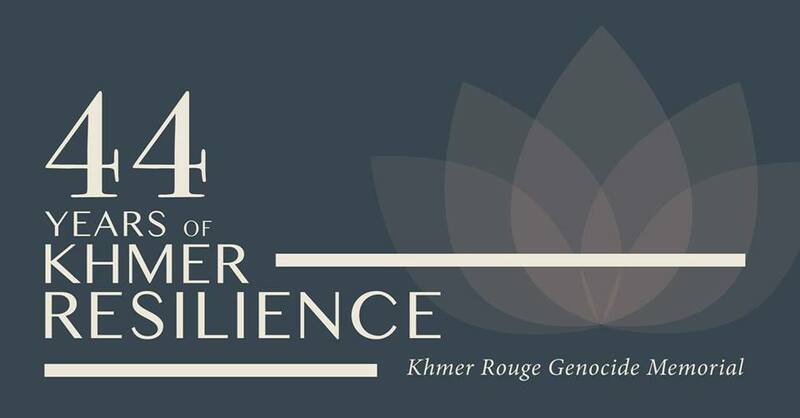 Forty-four years later, the effects of the Khmer Rouge genocide continues to leave a long-lasting legacy of trauma on the Khmer community, a challenge that has yet to be properly addressed and fully understood. In recognition of that challenge, KhSA UW is hosting a memorial in order to remember this historical event, break the silences through stories from the past, honor the living and deceased, and ultimately celebrate our resilience as we create a space to heal. We invite friends, family, and the UW community to come share this space with us and participate in this collective healing on Wednesday, April 17th from 6-8pm at Red Square, UW. We are putting a call out for individuals who would like to perform for our open mic session, whether it be in the form of spoken word, poetry, a narrative, song, music, dance, or other medium, to express themselves within the context of this history, and share our stories. If interested, please reach out if you would like to be a part of this! In addition to artist performances, we will have speakers, a prayer and meditation session, and a candlelight vigil. A detailed agenda will be posted soon. Please contact Ammara Touch for any questions or inquiries via Facebook or email at toucha@uw.edu.